Situated right on the Clarence River where the ferry from Yamba pulls in, this very productive café, offers those looking for self-employment a great opportunity. Views from the café, both inside and outside where seating is offered, are not short of being exceptional, where patrons can enjoy a quality meal while gazing across the river all the way to Yamba. This is the only waterfront café in Iluka. Comfortably seating around 40 patrons and in a prime location this business is being sold on a Walk In, Walk Out basis. A comprehensive list of plant and equipment is available to intending purchasers (all equipment is owned and in good order). The property has a registered lease agreement in place for a further 5 years and 6 months. A rental increase of around $720 per annum plus GST applies. Current rental in 2018 is $9,348 plus GST or $180/week plus GST. Current turnover of around $151,000 per annum nets the owner around $50,000 after costs. Figures available to interested parties. The current real estate market is buoyant in this attractive town with it’s noted National Parks, beaches and fishing spots, and looks to remain so with the soon to be completed highway, from Woolgoolga to Ballina. Approximately 50 minutes to Ballina jet airport, 20 minutes to Maclean with hospital and Council facilities, and of course a quick trip across the river by ferry, to Yamba. Would ideally suit younger couple with some culinary experience. The current owner runs this on her own, and she has young school children as well. Please contact Ian Dunbar on 0414 949 531 or our head office in Yamba on (02) 66 462 400 for further information or inspection. The suburb of Iluka is located in the Local Government area of Clarence Valley and covers an area of approximately 12.8 Sq Km. The surrounding suburbs include Yamba, Woody Head and The Freshwater. Currently, the median sale price of Houses, Units and Vacant Land in Iluka is $350,652 compared to $310,467 for the Local Government Area of Clarence Valley. Local Amenities include 3 Clubs, a Golf Course, a Post Office and 2 Churches of different denominations. There are 3 Parks, a Child Care Centre and a Primary School. In 2011, the population of Iluka was 1,704, with the main age group being people between 60 and 69 years of age. Married people account for 69% of the population and households in Iluka are mainly Couples with no children. There are approximately 781 dwellings, with the majority of these (69%) being house. 51.5% of properties in the area are fully owned, with 10.6% of the properties being purchased and 65% being owner occupied. The largest segment of the population are Not in Labour Force, in general those in employment work as Labourers with most people travelling to work by driving a car. Ian Dunbar’s reputation for being fair dinkum and an honest bloke well precede him. Most people in the Lower Clarence know Ian or know about him, as he has lived and worked in this area for decades. 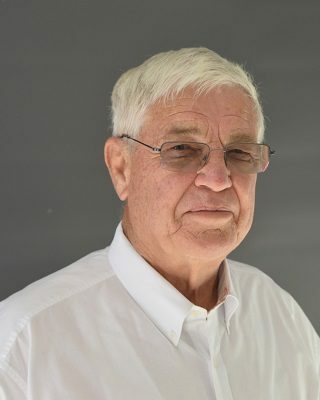 The former principal of Elders Real Estate Maclean, Ian is known for his extensive knowledge of the Lower Clarence area, especially in relation to rural property. He also sells residential homes. Ian’s role is to develop our client base throughout the entire Lower Clarence; with emphasis on the rural sector, lifestyle blocks and commercial development.